The sugar kneading machine is very large and very powerful. Right after the sugary mixture is heated up and completed its first round of mixing, it is dumped onto a liquid cooli ng table, where the candy has its flavoring added and mixed. The amber liquid when being first mixed is heated up to around 300°F. Once being transferred to the kneading machine, this large machine will mix in the flavoring by pushing and folding the candy – slowly cooling the product from its hot temperature. 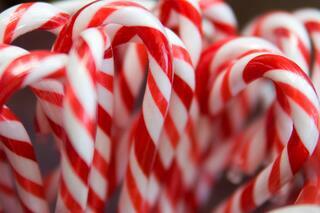 Pfannenberg’s CC Chillers can play a key role in supplying the cool liquid to the table which kneads the candy. If the table is left uncooled or heated, it will change the look, consistency, and taste of the final product. 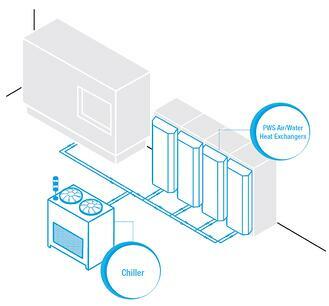 Not only is it crucial to have Pfannenberg Compact Chillers to cool the table, it is also import to utilize Pfannenberg’s PWS Air to Water Heat Exchangers to cool the electrical panels controlling the entire process. The wrapping of gifts dates back to the ancient Chinese, but here in the US it hit its popularity in 1917 when Joyce Clyde Hall and Rollie Hall (founders of Hallmark) decided to modernize it. Wrapping paper is a staple item. 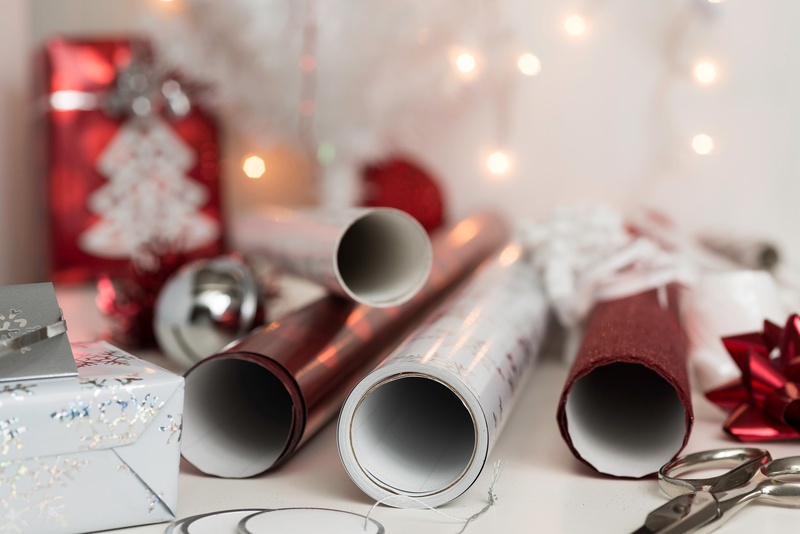 When it comes to holidays and special occasions, there are many steps that go into the manufacturing of wrapping paper. Artists have to create such artwork which is then etched onto copper cylinders that are bathed in a liquid bath of chromium, which galvanizes the copper to protect it from wear and tear. From here these rolls each have a various piece of the final wrapping paper artwork. Each color has its own roller. The paper will go through a series of various printers where it encounters the artwork on the copper rolls for the different colors. These metal rolls need to be highly controlled with temperature. Too hot or cold could cause the paper to stick to these rolls and cause a paper jam which leads to loss revenue and downtime. As part of a complete solution Pfannenberg’s CC Series Chillers help to control the temperature to the print rollers and Pfannenberg’s Air to Water Heat Exchangers provide proper cooling for the control equipment operating these large machines. 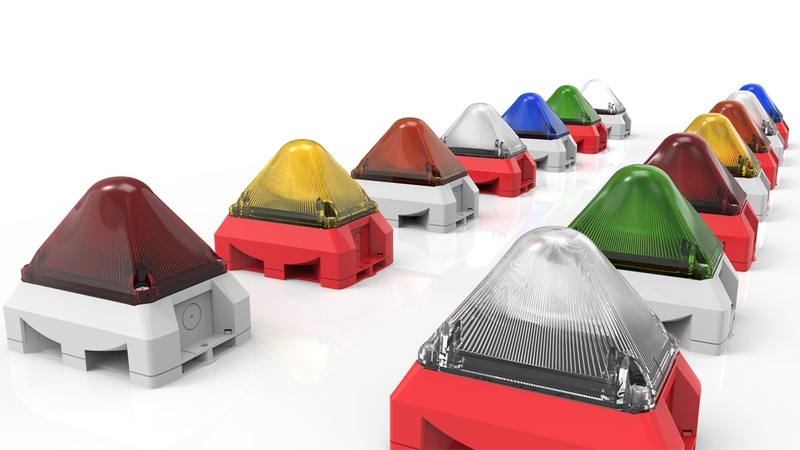 To complelent our full product line, Pfannenberg's Signaling products are needed at every stage of the manufacturing process to alert employees of a problem. Pfannenberg's Signaling Solutions help the employees to be able to hear and see exactly where the problem is occurring (which machine) and what problem is occurring (what action is need). Wrapping paper leads to the excitement and mystery of the gift. Without the proper cooling and operation of the equipment that are used to produce the paper, it would be difficult to wrap the gifts. Pfannenberg aids in the manufacturing process of wrapping paper. The holiday season concludes with celebrating New Years. New Years is a time to reflect on the past and perhaps try new things in the upcoming year. Celebrations are had with friends old and new, and champagne is typically the drink of choice. 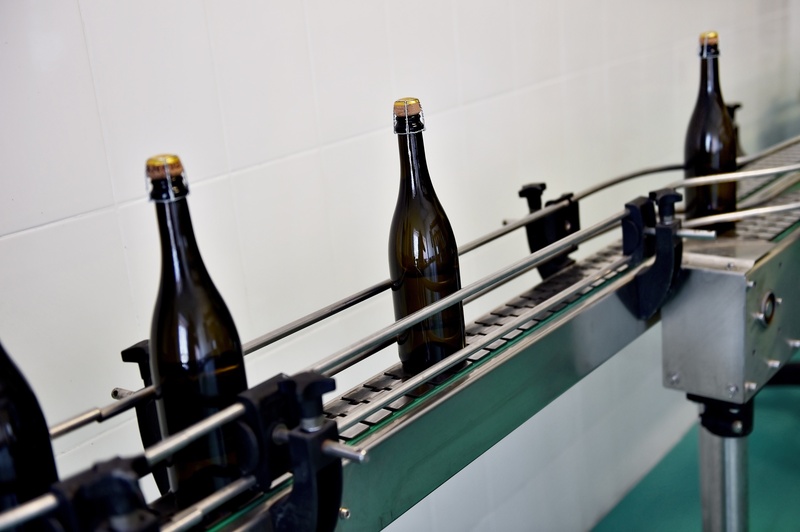 One crucial aspect in champagne manufacturing is the inspection and bottling stages of the process. The champagne bottle undergoes many cleanings and inspections prior, during, and after bottling. Each stage will monitor and check various aspects. The final inspection step will make sure that the champagne bottle is not cracked or damaged and to check the champagne to make sure that there are not fragments of cork or metal casing. A bright light will shine through the bottles where a machine will scan and take pictures for an employee to monitor/double check that the inspections are all being passed. Pfannenberg has proven experience in working directly with food and beverage inspection OEMs to provide complete engineering solutions for the cooling of x-ray tubes and the internal cavity of their inspection machines. The Pfannenberg team has come up with a complete solution to utilize a CC Chiller in conjunction with a small PWS Air to Water Heat Exchanger to cool the x-ray tubes and internal cavity. By combining products and eliminating a compressor based air conditioning unit, the Pfannenberg liquid cooling solution requires less maintenance and is far more cost effective by eliminating dependencies on different competing products and eliminating downtime.